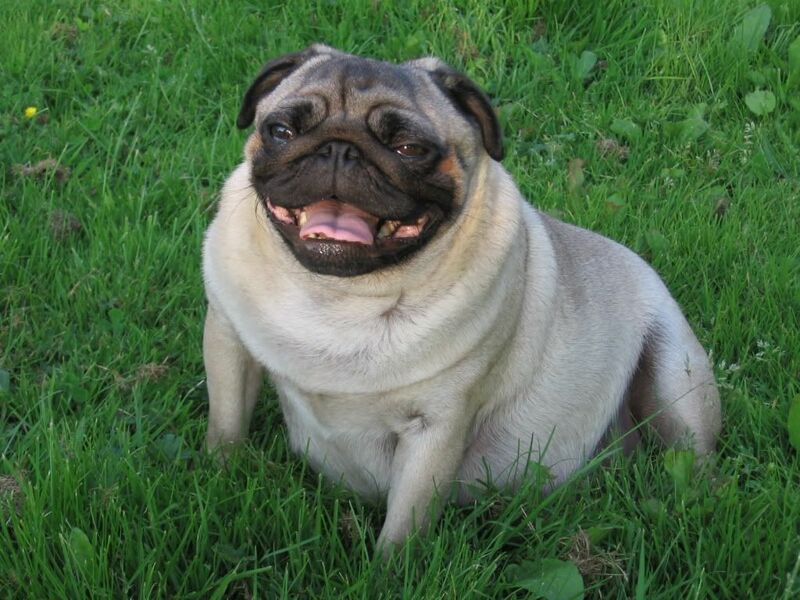 My pug Gracie is looking fit to pop at the moment. She is coping well, a little uncomfortable in the heat and keeps growling in her sleep :rolleyes: I think the babies must be moving around and annoying her. She is due this weekend but im thinking she will pop before friday! Im just hoping everything goes ok. This is my first pug litter and they are not easy whelpers, so fingers crossed! That's great! She looks good. Post some pics of the pups when you can. How exciting!!! She looks like she's ready to have the pups any minute:D:D. Do keep us posted. Wow, she looks like I felt right before I had my 8+ lbs son. Bless her heart. She is carrying the weight good though;). I hope she will have them soon, and that whelping will be as a much of a breeze as it can be. I can't wait to see the picks of those little flat nosed guys and gals..Good luck..
She doesn't look like she will be able to bend enough to bite the cords on the first couple of pups. Is this something that occurs in the breed? Well, the lady who scanned Gracie only saw four, i guess there may be more. 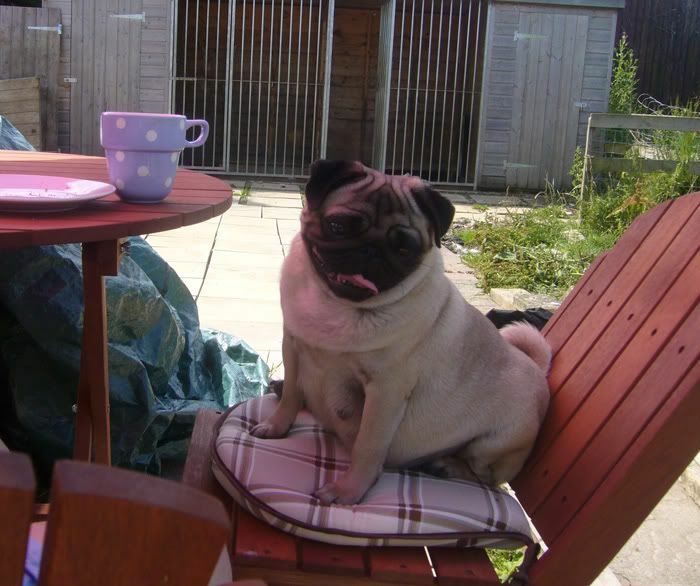 Im told pugs dont chew the cords, and very often have no maternal instinct at all!! So we have to be prepared that if she does have a healthy litter we may have to be very hands on with raising them. I will certainly post pics! She looks very proud of her impending motherhood. Prayers to you that all goes well. Good luck to mom and babies and the human also. Mom will do fine. When our Shiba had her only litter she was not sure as what to do and would not tear the bag off her first puppy. Spice wanted to hide it in the blankets I was happy we were there to help her. For some reason she had her smallest puppy first and middle size in middle and her largest was last he was big. She did ok after we helped her with the first one. Good luck let us all know. 4th of July could really be banging and going. After seeing these pics.. 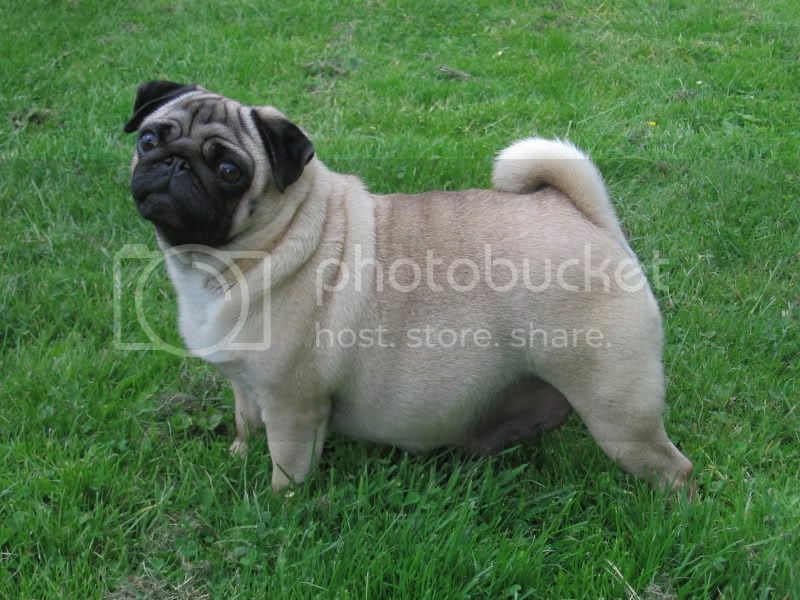 I'm sooo happy I'm not a pregnant pug.. Fingers crossed everything goes well! And don't forget to post pics!! Hope everything goes well for Gracie, she looks fit to burst! Can't wait to see pics of the babies. There's a Pug that comes to the dog park and he so friendly. Buddy tries to play with him but Buddy's too overwhelming and the Pug hides between my legs and looks up at me with tail wagging. I cross my fingers too, and I hope it will not be as hot weather as it is here when she delivers her puppies. are you going for a natural labour or a CS ? If I call you names, please note that I am not suffering the Tourette syndrom. 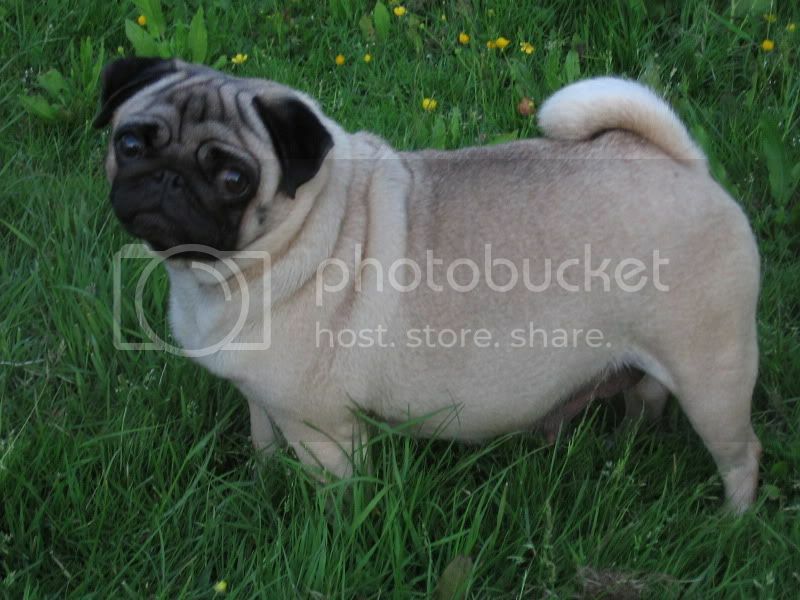 Wondering too, is it usual to do a C-Section for Pugs? I know they have problems whelping…. Wow, and I thought my tummy was big! well it is but this little girl is sure caring a load. Aw, she looks like she's ready to burst. lol Best wishes for a smooth successful whelping! Can't wait to see the little smooshy puppies. We are going to see how it goes naturally and will opt for a C-section if she has problems. Gracie's mum has had two litters naturally so hopefully Gracie will too. The scanner said that one pup was a fair bit bigger than the other three so we just have to hope that she has that one ok. If she has that first with no problems the others should be easy, we just dont want that one to get stuck!! We''ll keep our fingers crossed for gracie.. she looks so huge!!!! I hope it all goes well for Gracie, lots of pics please! We met some adorable pug pups at Blackpool on the caravan park. She seems to have settled back down now after giving me a little scare yesterday (i was sure she was going to have them last night - on her birthday!!) so maybe she will go to her due date! My mum is looking at buying a caravan for the shows next year so she can make a weekend of it for each of them and take all the dogs along… So i keep getting dragged around Caravan showrooms...!! Will be nice to know some people at the caravan parks for if we do go though! Maya will love it im sure.